Welcome back to Scavenger Hunt Sunday. Before we get to today’s scavenger hunt, I wanted to remind you that you still have until January 25th to join Memories, Dreams and Reflections. If you want to participate, click HERE. So far, I think I’ve visited everyone who has linked up (I actually need to double check that). It’s been so fun to take a look at what you’ve been up to over the past year. 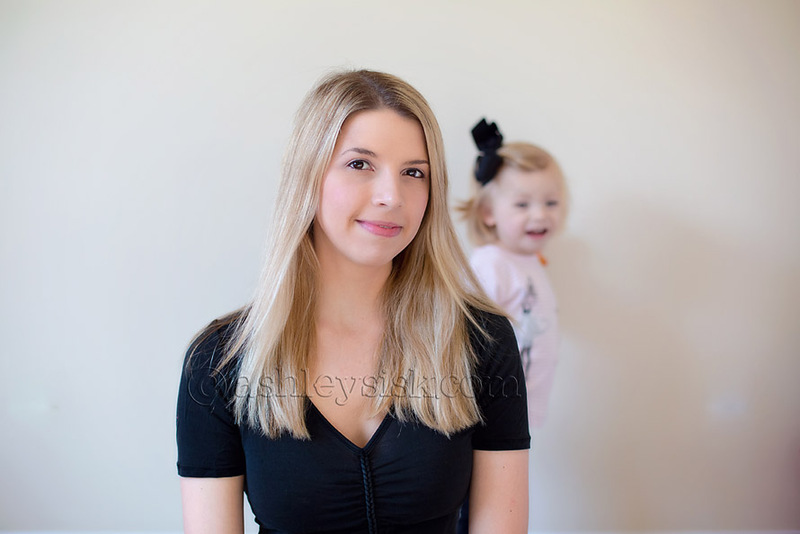 In many cases, I’ve missed out on quite a lot…so I hope 2014 will be the year that I really do reconnect with all my blogging buddies. With that said, let’s get back to the hunt. For those of you who didn’t participate this week, but want to participate next week…next week’s list is sponsored by Kamana. Thanks so much Kamana for giving me some fresh prompts. Felicity will not tolerate a hat on her head, but she loves a hair bow. After Michelle posted a picture of Maddie on Facebook with a head full of bows, I had to try it myself. I’d love to try it again with better light, but I love the overall idea. 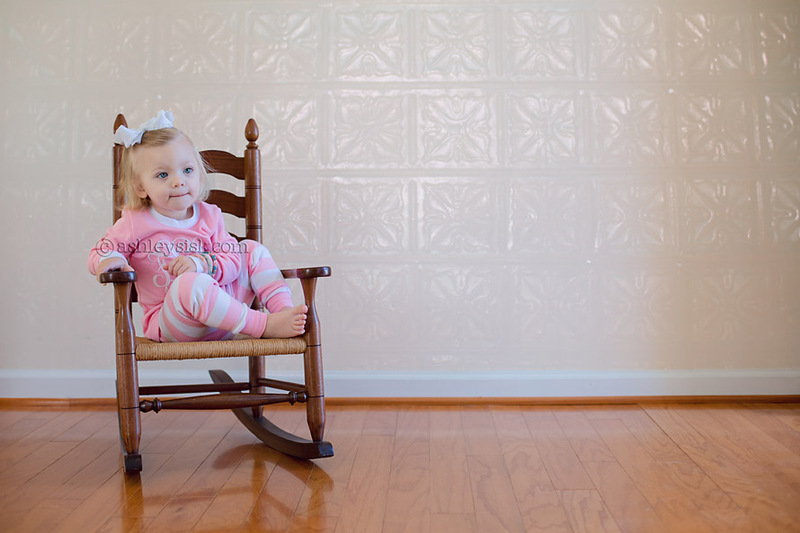 Felicity is far from antique, but the rocking chair she’s in is (well kind of). This was my rocking chair when I was her age. My mom gave it to her for Christmas this year and while she hasn’t spent much time in it yet, I’m sure she’ll love it just as much as I did. It took a long time, but Felicity has become quite the “daddy’s girl.” I am in the process of trying to photograph her holding this “I Love Daddy” sign, but she’s really hard to keep still. Either way, I’m completely comfortable with her being daddy’s little girl. If you’re friends with me on Facebook, you’ve already seen this photo. If not – here’s the story. I’m in the process (oops, I’ve already said that) of being initiated into a collaborative blogging project. As a part of that initiation, I needed to take a new head shot. Felicity totally photo bombed it. The door in this shot is not the main subject of the photo, but I didn’t think it needed to be (as long as it was in the shot). 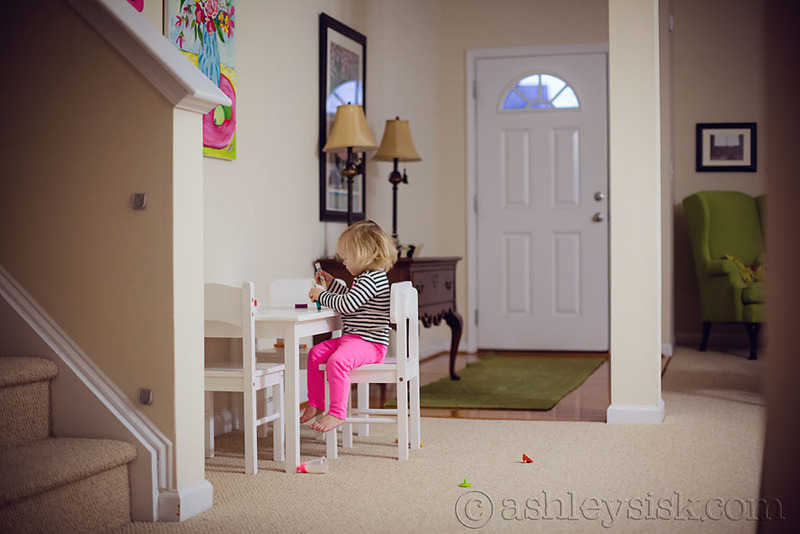 We got Felicity this table and chairs for Christmas. She loves to sit at her table and play on her doodle pad. Most times, I keep our front door open so she can look out, but she has a tendency to to close the door as soon as it gets opened.